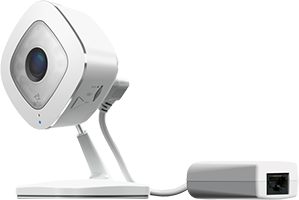 See and hear in perfect detail with the Arlo Q Plus HD security camera. 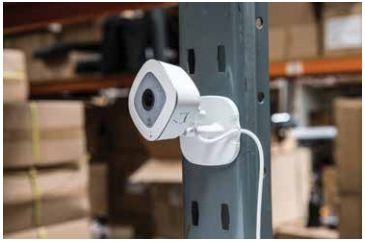 Enjoy 1080p HD video, night vision and two-way audio- plus the added flexibility of connecting the camera with WiFi, Ethernet or PoE, which offers power and Internet connectivity with just a single cable. 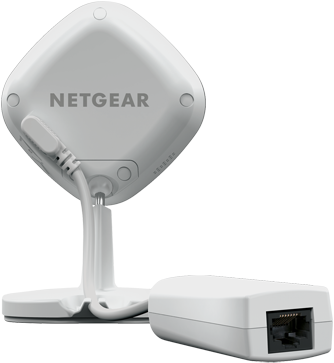 Additionally, the micro SD card slot provides local recording in case of Internet interruptions. 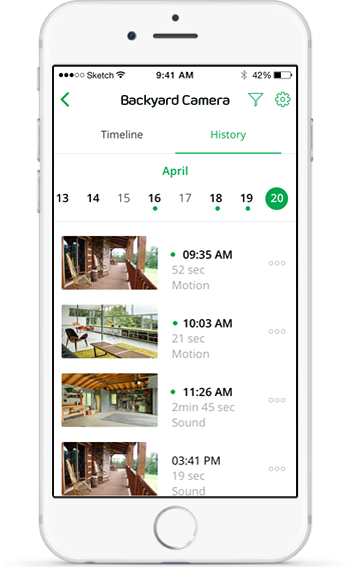 With a rolling 7 days of free cloud storage, and alerts when motion or sound is detected, you can be sure to never miss a moment in your home or business. Be there instantly—no matter where you are. 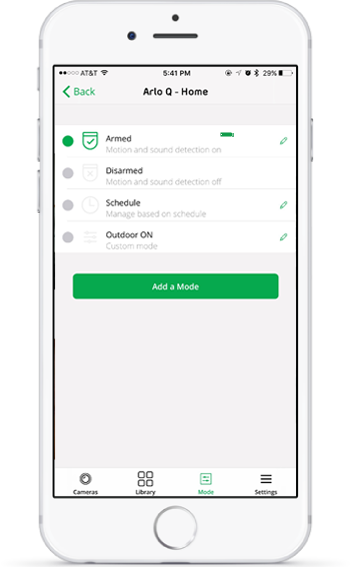 A tap or two is all it takes to check in on your home or business from any computer or mobile device. Connect up to 15 Arlo Q Plus cameras to the cloud* . Watch five live video streams at once. 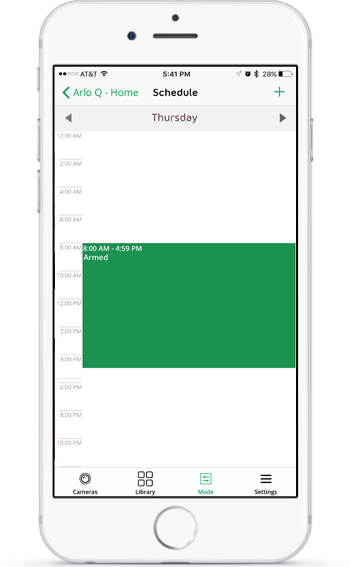 Create a customized motion and sound alert schedule to match your lifestyle. 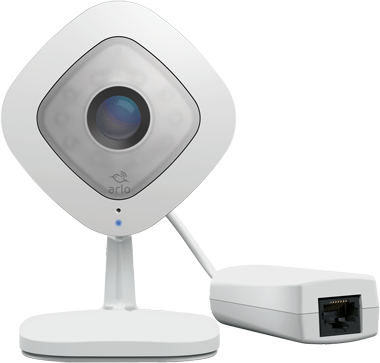 Arlo Q Plus gives you permanent peace of mind. 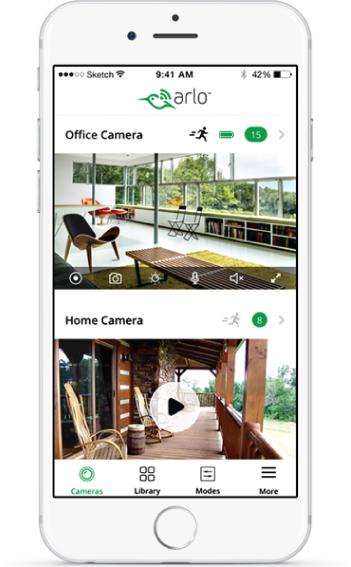 Arlo Q Plus keeps an eye on what matters most whenever you can’t. 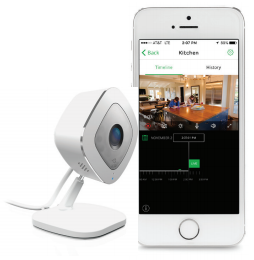 Motion-sensing and sound-detection technologies trigger instant email alerts and push notifications the moment anything happens at home or work. 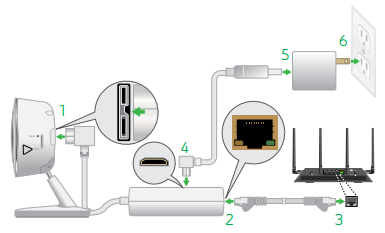 Easy connection with WiFi, Ethernert, or PoE. 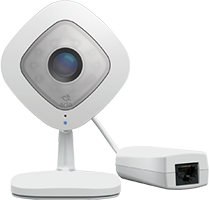 Connecting Arlo Q Plus to your Wi-Fi network is quick and easy using one of the three connection options; WiFi, Ethernet, or Power over Ethernet (PoE). 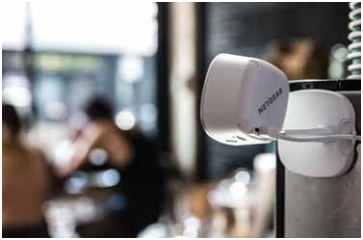 Place your cameras anywhere—mount them on walls, snap them onto metal surfaces using their built-in magnetic mounts, or simply place them on the flat surface of your choice. 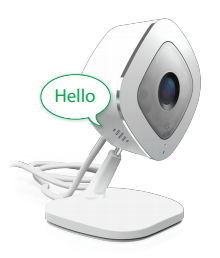 Connect the Arlo Q Plus camera to your router using WiFi and power the camera with the included micro USB cable and power adapter. 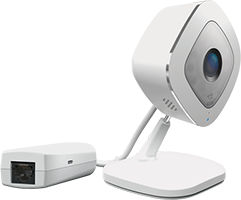 Connect the Arlo Q Plus camera to your router with Ethernet, but power the camera with the included micro USB cable and power adapter. 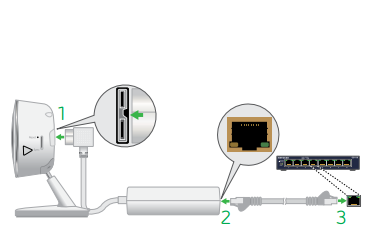 Connect the Arlo Q Plus camera to a PoE switch using the included PoE adapter if you want to power and connect the camera to the Internet with a single cable. All files are stored to the cloud, but you can use a micro SD card for backup in case of Internet interruption. Simply insert micro SD card and the backup is enabled automatically. 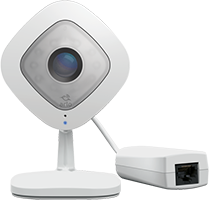 Every Arlo Q Plus camera has a built-in speaker and microphone so you can talk with anyone near the camera, help with homework, call employee from the stock room, shoo the dog off the couch, or join the party from anywhere in the world. See every corner of the room. Arlo Q Plus uses an extra-wide 130-degree field of view to capture an entire room from corner to corner. 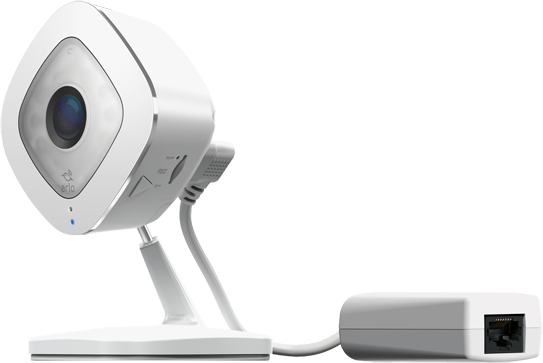 See it all without moving, panning, or zooming your camera. Store your videos in the cloud for FREE. 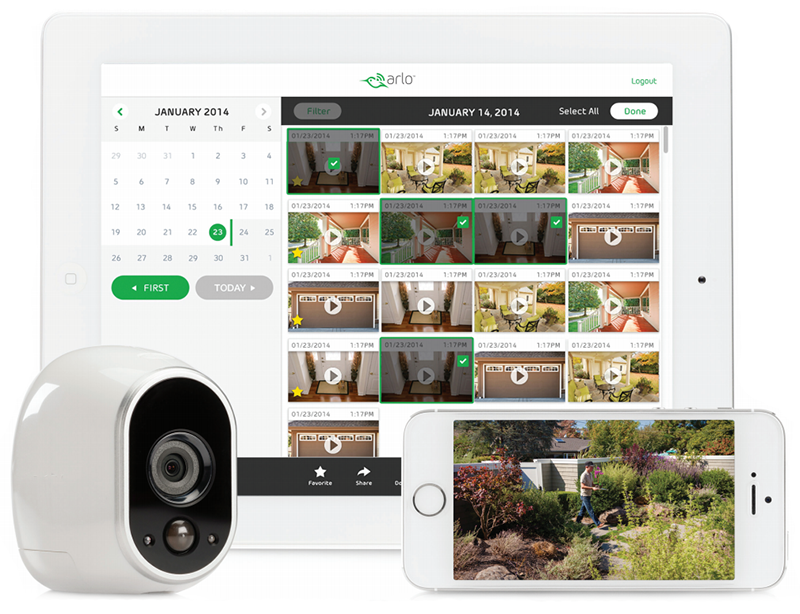 Arlo Q Plus includes a rolling 7 days of FREE cloud recording storage for every video you record. Stream live video and review past recordings anytime, anywhere. 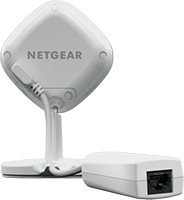 Or upgrade your service plan for more storage options, including non-stop Continuous Video Recording (CVR), which records all the action 24/7 so you can rewind any camera to any minute of any day and catch everything you missed. 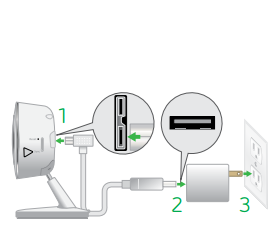 Power the camera and connect to your network with a single cable. 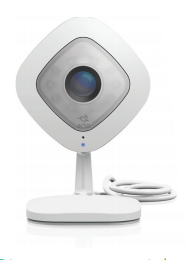 Download the Arlo Q Plus Datasheet (PDF).